You'll be £14.99 closer to your next £10.00 credit when you purchase World War Two at Sea. What's this? In this book, veteran battleship crew members describe their unforgettable experiences, including those of a young officer in a British battleship at Jutland; tales of the loss of the German warship Scharnhorst in the arctic off the North Cape; the combat experience inside a sixteen-inch gun turret aboard an Iowa-class battleship bombarding Iraq during the Gulf War, and the adventures of HMS Warspite in World War One, in the Mediterranean and on her way to the breaker's yard in 1947. 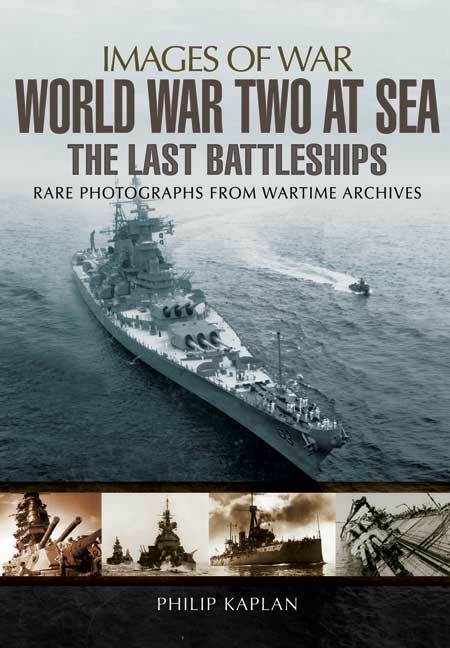 The text is combined with a compelling selection of historic images representing the era of the great battleships from the early years through the First and Second World Wars, Korea, Vietnam, the Gulf War, and the preservation of a handful of these vessels as museum pieces today. Some rare and some well-known good pictures worth studying again. For the layman it provides a good, very well illustrated, easy read as an introduction to naval warfare and in particular the Second World War. An interesting read and very well illustrated with a good selection of archive photos. This book is a very well written and informative glimpse into the life of the Battleship; filled with amazing pictures with supporting text of numerous battleships throughout history and the stories accompanying are fascinating. This is a must-have for the naval enthusiasts and model shipbuilders alike.